Breastfeeding mamas know all too well the awkward art of semi-disrobing in public to nurse their baby. Showing some skin isn’t necessarily the issue, but negotiating a garment quickly enough to accommodate a little one’s on-the-fly feast can devolve into a frustrating game of Twister. Designer Daniela Bekerman lends moms a hand—or shall we say magic blanket and super cape?—with her thoughtfully conceptualized, if somewhat avant-garde breastfeeding clothes. 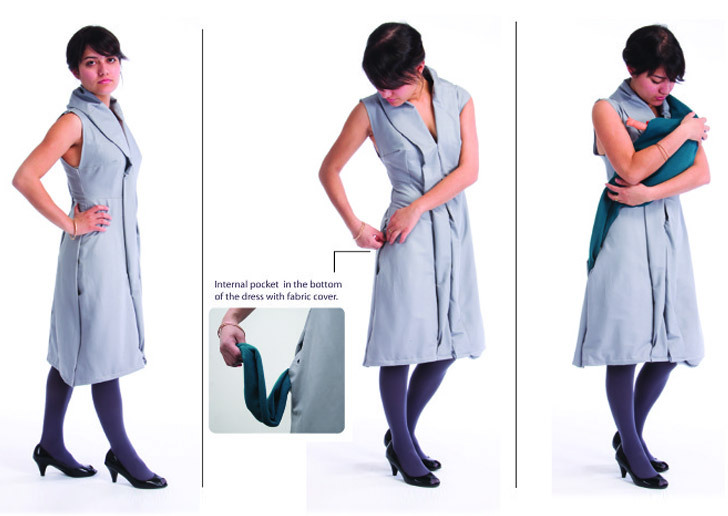 One of Bekerman’s dresses features an internal pocket that hides a fabric cover for discreet nursing sessions. Another dress, which includes pleat-like “apertures” for easy access, enables super-mom to don a removable cape (how fitting, right?) to shield one’s bambino while she dines. “I love resolving problems through design,” Bekerman says. Breastfeeding mamas know all too well the awkward art of semi-disrobing in public to nurse their baby. Showing some skin isn't necessarily the issue, but negotiating a garment quickly enough to accommodate a little one's on-the-fly feast can devolve into a frustrating game of Twister. 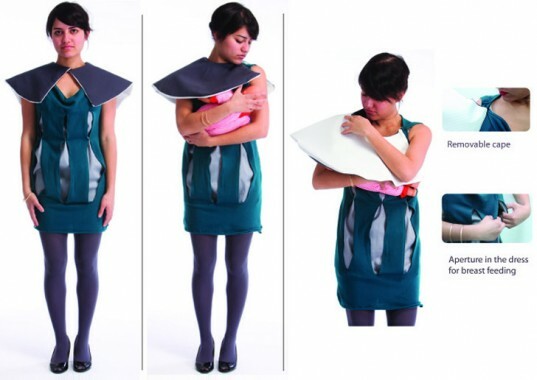 Designer Daniela Bekerman lends moms a hand�or shall we say magic blanket and super cape?�with her thoughtfully conceptualized, if somewhat avant-garde breastfeeding clothes.